What are the dimensions of the different paper sizes? A4 is seriously popular in the world of paper, the other sizes probably get a bit jealous at times, I mean when was the last time you saw a paper airplane made from anything but A4. It is certainly the standard size for most things from printers and scanners to paper based aeronautics. But have you ever wondered what the exact dimensions of a piece of A4 paper are? What about A0? Well its your lucky day. 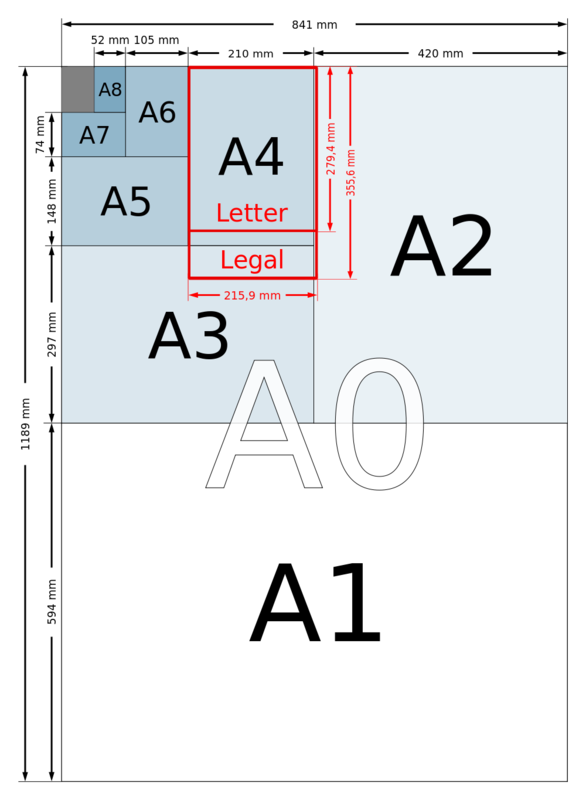 Below are a list of the paper sizes from A10 through to A0. What a treat!